Most websites would agree (the successful ones, at least) that it is better to have one link from a respected website in your industry than to have two or three links from off-topic or spammy websites -- especially if these irrelevant websites contain no other content besides the links. Most websites follow the established rule -- Links that are advertisements or sponsored links should be marked ‘NoFollow,’ which tells search engines not to view them as recommendations. Having ‘NoFollow’ tags can discourage spammers from targeting your site and give you more control. 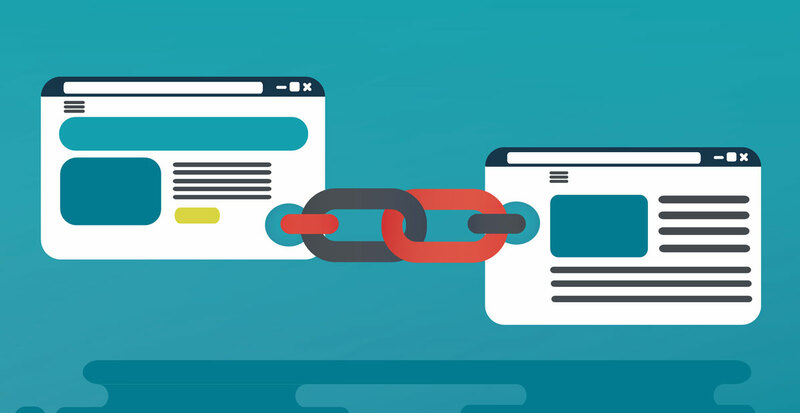 Paid links can also discourage Google from ranking you, so using the ‘NoFollow’ attribute tells search engines that your organic links are trustworthy. Since Google’s Penguin Algorithm was announced in April of 2012, checking all backlinks to your website has become critical to your SEO. Penguin was created to reduce the ranking of sites that used link spam to artificially boost rankings and actively concentrates on attempts to manipulate search engine results. So, manually-implemented “unnatural link” penalties have been handed out to websites much more frequently. Unnatural links are any links acquired using methods that violate Google’s quality guidelines. For example, buying and selling links on your website. This is an unnatural link building technique and you will see consequences if you don’t put a ‘NoFollow’ tag on them. Another example of unnatural links can be seen in those from link-swapping schemes. Google has gotten smarter and can recognize when sites are swapping links with each other to boost each other’s link profile. Another indicator of a bad link-building technique is ‘exact-match anchor text.’ For example, it would be unnatural for every single one of your links to use the phrase cheapest apartments in New York, rather than a mix of what you’re selling and your brand name. All of Google’s unnatural link penalties are done for the sake of transparency and trust. Google rewards sites that aren’t trying to pull the wool over their user’s eyes. How Do You Find Your Bad Backlinks? Before doing anything else, you should make sure your site is registered and verified with Google Search Console (be sure to verify both www and non-www versions of your domain). If and when you receive a penalty, Google Search Console (GSC) will notify you and allow you to recover your website - as long as the penalty was manually issued. Once you’re all set up, you can use the tool to discover your backlinks! 1. On the GSC page, click your site. 2. Click Search Traffic on the dashboard and then click links to your site. 3. Click more under who links the most. Following these steps will give you a file listing all the pages linking to your site. You can then audit these links for quality. Linking page relevance. Do the page and domain have anything to do with your page’s topic? Be on the lookout for pages dedicated to hosting links to other sites, as this is a sign of reciprocal link schemes. Linking domain quality. Is the site linking to your page a legitimate website, or does it look like a shady directory site or content farm dedicated to serving ads and affiliate links? Note that pages with ads and affiliate links can be legitimate, so you’ll have to use your own judgment when deciding if a domain is legitimate or not. Anchor text. Again, relevance is key here. Is the link’s anchor text on-topic for both your page and the linking site’s content? A link with random text dropped randomly into the page content will not look good to Google. Diverse anchor text. If all (or most) of your links contain keyword-rich anchor text, your link profile will look unnatural. A good link profile will contain a wide variety of keywords, as well branded terms and generic words like “here” or “this”. Diverse domains. A large number of links from a small number of domains does not look natural to Google. A natural link profile shouldn’t have more than a few links from each domain. This, of course, excludes Web 2.0 platforms like Facebook, Twitter, Tumblr, and WordPress. Natural link velocity. Link velocity refers to the speed at which a page builds links. Pages typically build links slowly and evenly over time. Building a huge number of links in a short amount of time is the sign of an unnatural link scheme. Of course, this does not apply to pages that go viral. So you must balance this criterion against the other two to determine the quality of your link profile. Now, one or two bad links are less of a concern for SEO since Penguin 4.0 was incorporated into Google’s core algorithm. I mean, every domain has a certain amount of bad links. The key is to balance them out by building good links on high-quality relevant sites. If you find that your link profile is overwhelmingly made up of links from off-topic and/or low-quality sites, links with identical keyword-rich anchor text, or that were all built very quickly, you will likely want to disavow your bad links. Note: Some blackhat SEO will intentionally build bad links to a competitor website in a process known as negative SEO. Negative SEO is relatively rare, but it does happen. If you find your website under a negative SEO attack, you should consider disavowing the offending links or removing the spammed pages. Since many websites, especially those that have been around for more than a few months, will have a large number of links, an SEO audit tool like SEMRush or WooRank is helpful to crawl and evaluate your links. These tools will score each link and your link profile, allowing you to quickly and easily decide which links to disavow. How Do You Disavow Bad Links? While the actual process to upload a disavow file is very simple, there are some steps you must complete first. The first and best step is to contact the linking websites and have them physically remove your links. This step is very important if you’ve received a manual penalty from Google. You should submit a list of all the links you manually attempted to remove and the outcome of those efforts as part of your reconsideration request. Simply disavowing links without attempting to have them will likely lead to Google denying your reconsideration request. However, many website owners will, unfortunately, refuse to remove the offending links or, more probably, just ignore you outright. If you find this is the case, you should proceed to disavow the links. Once you have cleaned up as much as you can manually, you can upload a disavow file to Google. Fair warning: This is much more technical than email outreach. At its most basic, disavow files are simple plain text (.txt) documents that contain a list of every link pointing to your domain that you want Google and/or Bing to ignore. They are encoded in UTF-8 or 7-bit ASCII - only one link per line to be disavowed. You can include notes about each link using the hash (#) symbol. Google can’t see or use these notes in any way; they’re just for your own use. The “domain:” line instructs Google to ignore any and all links to your site from the entire domain, but Be judicious with using this command There could be links on a domain that do pass at least some link juice, so you wouldn’t want to disavow those links by accident. This article dives a little bit deeper into how to create and format this file. Your disavow file should then be uploaded to the Google Disavowal Tool and the Disavow Links dropdown tool in Bing. Ok, But What Happens After You Disavow a Link? After you disavow a link, search engines will assign an invisible ‘NoFollow’ tag to them and they will no longer affect your search engine ranking though they still appear in GSC as a site that links to you. If your website has incurred a manual link penalty from Google, it’s time to move on to your reconsideration request (if you’ve been notified of a manual Unnatural Link Warning via GSC). You’ll want to include a list of all the links and/or domains you disavowed as part of this request as well as those you manually requested be removed. You should receive an answer to your reconsideration request within two weeks, but recovery time will depend on the penalty and how many quality links you have left over. Eventually, the removal of these links should help boost your site authority and in turn search engine rankings. Proactively monitoring your links is crucial to your SEO strategy, and it’s important to do it on a regular basis. You don’t want all of your effort and progress to be for nothing if you don’t keep on top of inbound links!